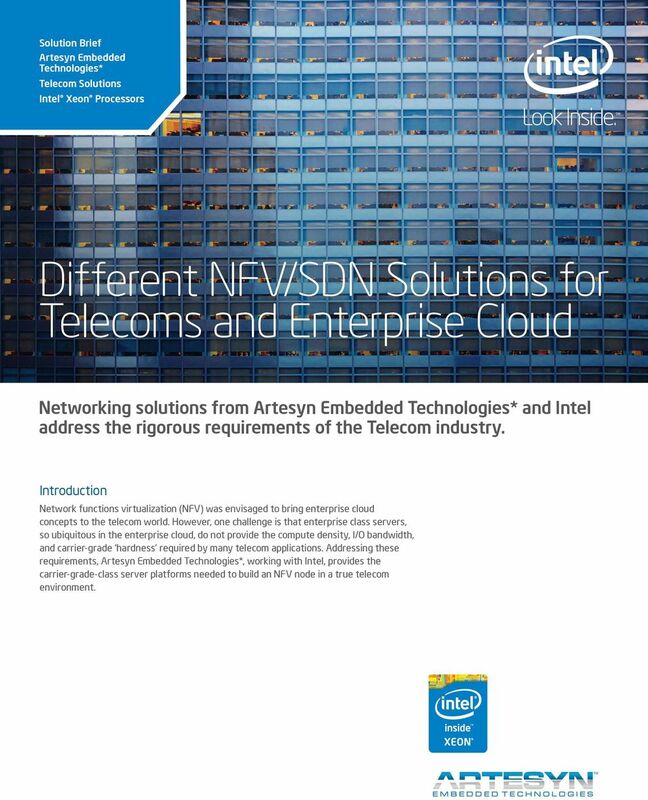 Download "Different NFV/SDN Solutions for Telecoms and Enterprise Cloud"
1 Solution Brief Artesyn Embedded Technologies* Telecom Solutions Intel Xeon Processors Different NFV/SDN Solutions for Telecoms and Enterprise Cloud Networking solutions from Artesyn Embedded Technologies* and Intel address the rigorous requirements of the Telecom industry. 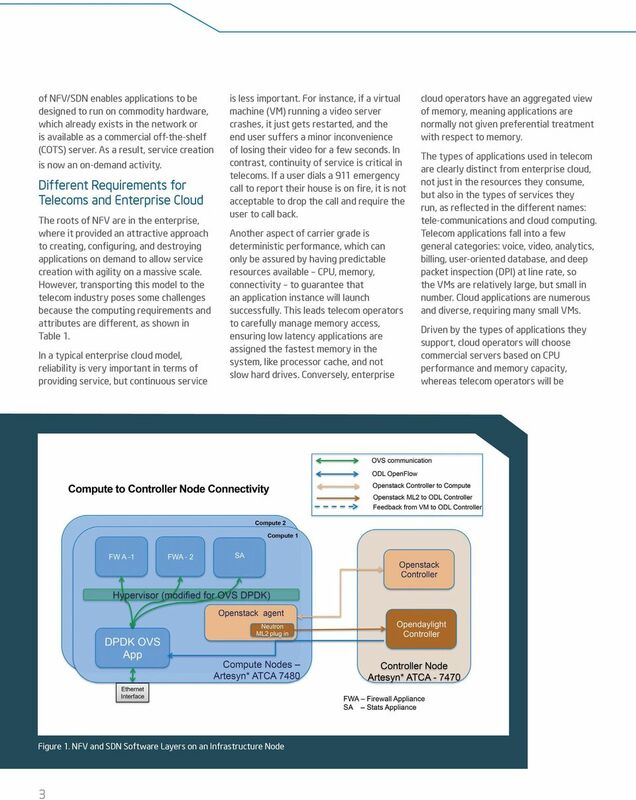 Introduction Network functions virtualization (NFV) was envisaged to bring enterprise cloud concepts to the telecom world. 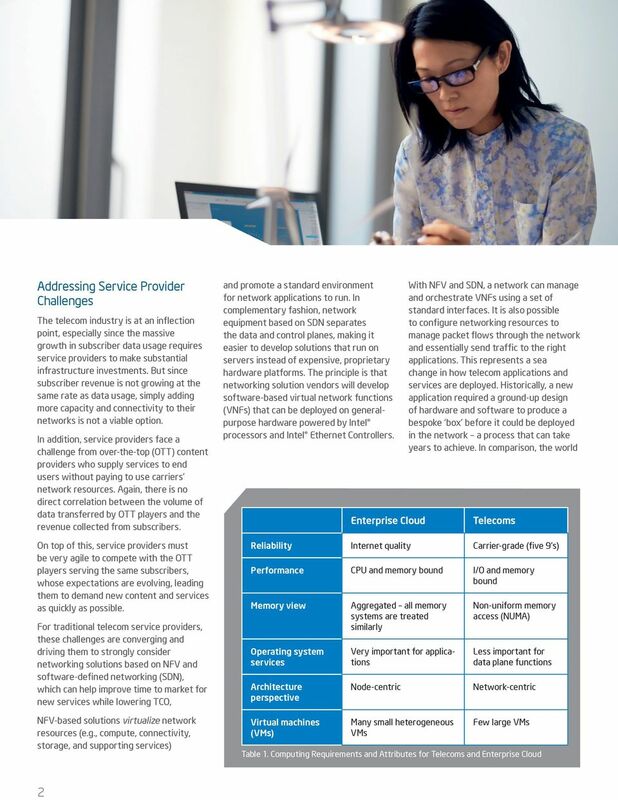 However, one challenge is that enterprise class servers, so ubiquitous in the enterprise cloud, do not provide the compute density, I/O bandwidth, and carrier-grade hardness required by many telecom applications. 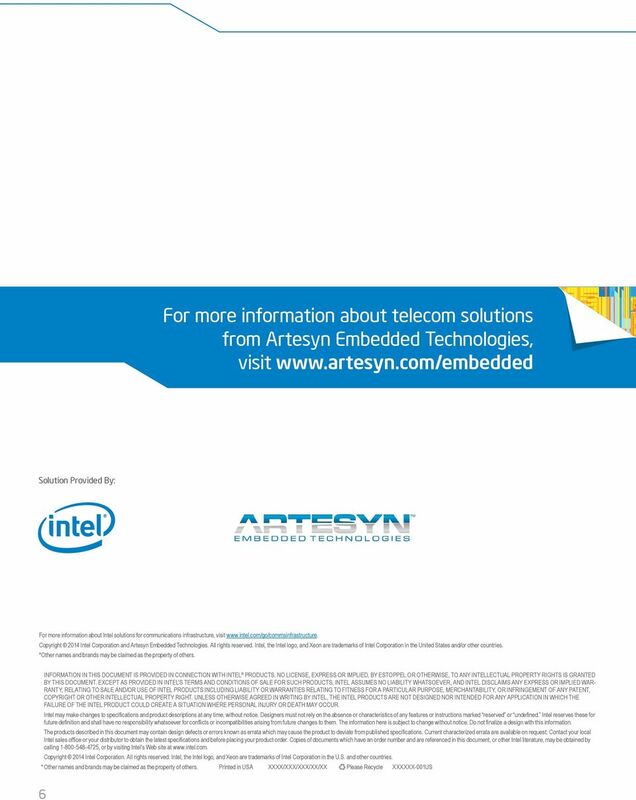 Addressing these requirements, Artesyn Embedded Technologies*, working with Intel, provides the carrier-grade-class server platforms needed to build an NFV node in a true telecom environment. 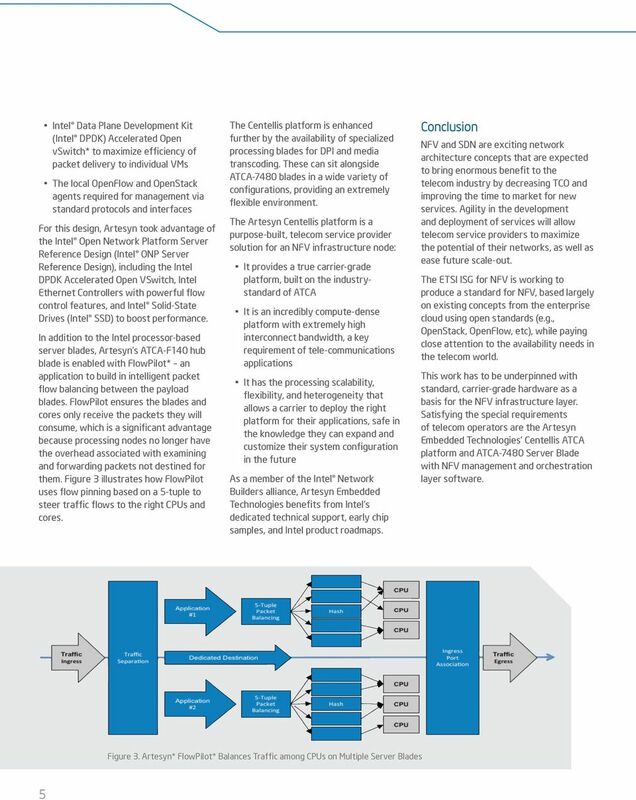 WHITE PAPER Securing the Intelligent Network Securing the Intelligent Network New Threats Demand New Strategies The network is the door to your organization for both legitimate users and would-be attackers.